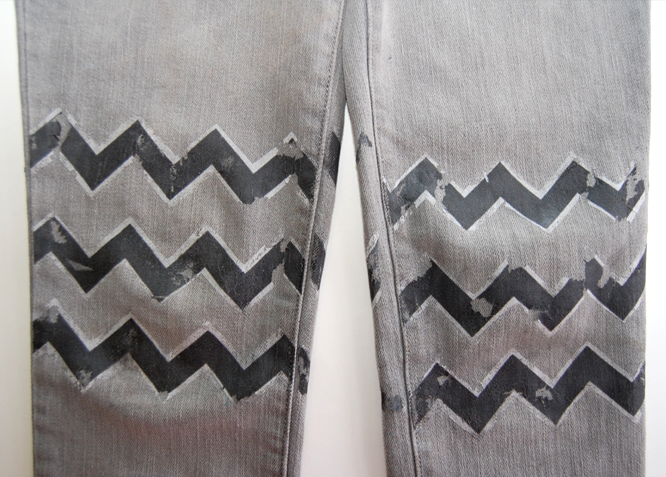 Lately, fashion blogs and Pinterest alike have become enthusiasts of the chevron pattern. However, the zig-zags style seems to be reserved for children and multimillionaires. 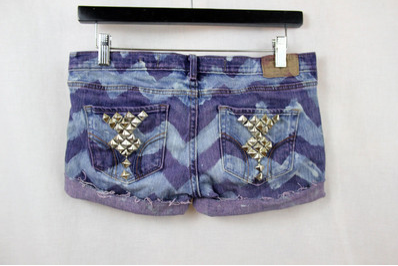 More creative DIYers like the ladies of Etsy managed to create the shorts above with bleach. But, for a college girl like myself who doesn’t have a clue how to sew, use a hot-glue gun or keep masking tape from sliding off wet clothes, this idea is a task I’m too nervous to take on. Luckily, a product that we used when we were young can be used to obtain the same effect: iron-on transfer paper. First, find a print you’d like to use. Make sure the image is large enough to be printed on the entirety of the transfer paper. 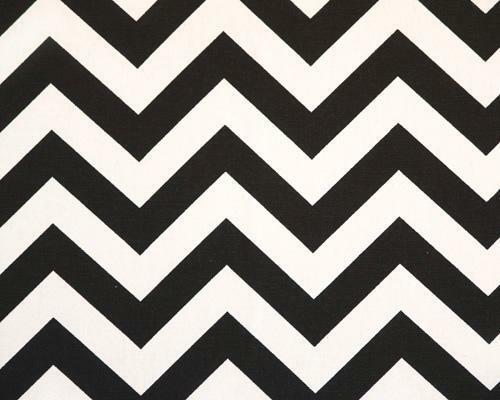 (This is the chevron pattern I used.) Print the image out twice, using two sheets of transfer paper. Next, cut out the individual zig-zag stripes. Lay your jeans on a flat, iron-safe surface and place the center stripe where you’d like it to be. I would recommend first trying on your jeans and marking this spot with a pencil. Iron on the first stripe as per the package's directions. Be sure to let it cool completely before peeling off the backing, otherwise you'll peel off too much of the image. Repeat this step with your other stripes, on the front and back of each leg. Et, Voilà! Keep in mind before trying this DIY that the image will not be perfect. It will be cracked in places, but the result is an almost grunge-y, worn-in look.